We will make many campaigns at the same time , and promote your Site/Link until get at least 2300-2600 Visitors/Traffic.All are From Top Social Sites as mentioned. 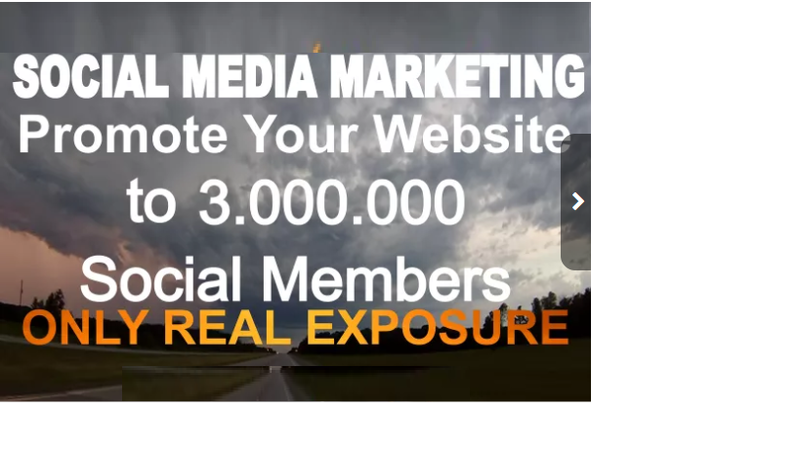 Welcome to this Social Media Service.Which will help your website or link get alot of visitors from Top Sites. Only Quality Visitors From Top 1-2-3 Sites will be driven to your website and help your site Exposure by Many Social Media Campaigns . Website/Blogs/Business Link/Products/Stores/Video/Song...Or Any business are accepted . Will Provide Unique Tracking report for you.So you can track all results by your self. + Your Site/Url that you want use our Campaigns. Note : I can't guaranteed for sales,sign-up,opt-in,conversions,download...etc.100% Marketing Services can't force visitors action.